Kurle Y. M., Wang, S. J., Xu, Q. *, "Dynamic Simulation of LNG loading, BOG Generation, and BOG Recovery at LNG Exporting Terminals", Computers & Chemical Engineering, 97, 47-58, 2017. Xu, J. L., Zhang, S. J., Zhang J. Wang, S. J., Xu, Q. *, “Simultaneous Scheduling of Front End Crude Transfer and Refinery Processing”, Computers & Chemical Engineering, 96, 212-236, 2017. Dinh, H. D., Zhang, J., Xu, Q. *, “Process Synthesis for Cascade Refrigerant System based on Exergy Loss Minimization”, AIChE Journal, 61(8), 2471-2488, 2015. Kurle Y. M., Wang, S. J. *, Xu, Q. *, "Simulation Study on Boil-off Gas Minimization and Recovery Strategies at LNG Exporting Terminals", Applied Energy, 156, 628-641, 2015. 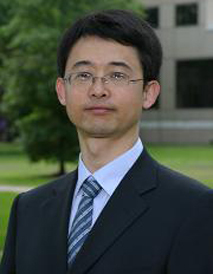 Wang, M. Q., Zhang, J., Xu, Q. *, “A Novel Conceptual Design by Integrating NGL Recovery and LNG Re-gasification Processes for Maximum Energy Savings”, AIChE Journal, 59(12), 4673–4685, 2013. Zhao, C. Y., Fu, J., Xu, Q. *, “Real-time Dynamic Hoist Scheduling for Multi-stage Material Handling under Uncertainties”, AIChE J., 59(2), 465-482, 2013. Xu, Q. *, Yang, X. T., Liu, C. W., Li, K. Y., Lou, H. H., Gossage, J. L., “Chemical Plant Flare Minimization via Plant-Wide Dynamic Simulation”, Industrial & Engineering Chemistry Research, 48(7), 3505-3512, 2009.